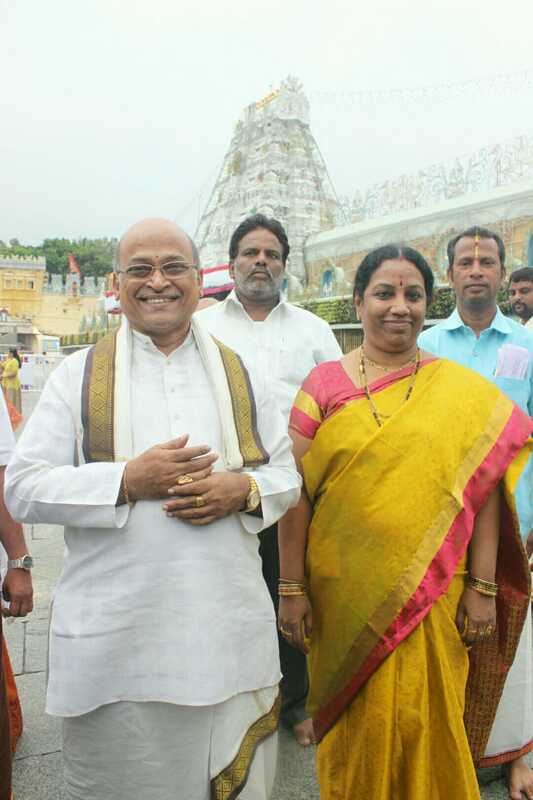 Telugu Avadhani Garikapati Narasimha Rao has visited Tirumala hill shrine and offered his prayers to Lord Venkateswara Swamy. Accompanied by his wife, Garikapati had darshan of the deity during VIP break. After darshan temple officials presented Laddu prasadam and holy water to him at ranganayakula mandapam.